t*rexes and tiaras: Tuesday Titles 142.. 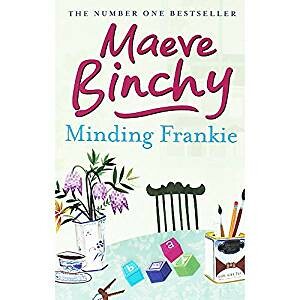 It's been a while since I last read any Maeve Binchy, but when I was at my Nan's house last week she'd just finished this one and passed it on to me. So, I took it with me on the train the next day and it entertained me en route to Leamington Spa. And, it was just that really. The kind of book I'd recommend for a mildly entertaining read when you need to kill some time. Probably not one I'd go back to (I do sometimes re-read books which I've really enjoyed, although I seem to have such a long to-read list that I don't do it very often). Noel has made it to thirty years of age without really having much of a plan for his life. (I empathise.) He spends his days trying to get through his dead-end job without anyone finding out how much he drinks to keep going. Things change when someone he hasn't seen for a while looks him up and tells him a secret. In fact, at that moment everything in Noel's life changes and suddenly he's being given a lifeline. With an amusing and supportive merry gang of friends and family rooting for him, Noel is determined to turn things around and prove himself to Frankie.